The playsuit is long Lederhose made of 100% brushed cotton. It is available in four different sizes. 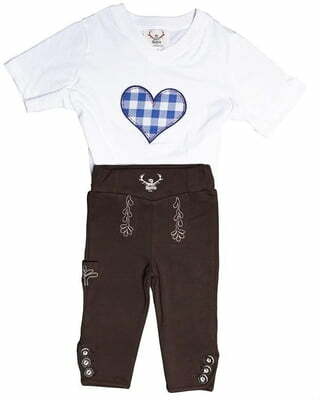 Tu Felix Austria Kids T-​Shirt "Horn Wine Red"